I know many of us are joined in bereavement over the impending death of Google Reader. Dearest Reader, you help so many of us keep track of our favorite online friends and distract us during our darkest (work)hours... It's going to be an adjustment. Loss is never easy. Change can be difficult... but it doesn't have to be. Sites like Bloglovin have created easy tools to import your reading list. You can also create categories for your feeds to help easily manage them. There are other options too, Feedly and Zite both look like fantastic ways to manage feeds. Whatever you choose, I hope, moving forward, You'll take TresBienEnsemble with you! I love interacting with you all and I would hate to lose touch. As a distraction, from this great universal loss, I offer you a March Giveaway. We started the year with two knitting giveaways, so this month, SEWING. For your opportunity to win, leave a comment below. Be sure to provide valid contact information, so I can reach and send your gift certificate. If you're a gambling gal/guy, increase your odds by Tweeting a link to this giveaway @tresbienmichell (+2 entries). Entry is open until midnight (CST) on March 30, and a winner will be randomly chosen and contacted on March 31. Ohh! Pick me! Pick me! I'd love a chance to win. Thanks for your generosity! Nice gift, I'll probably pick the Archer. I am quite dismayed at the demise of google rss reader too. I have just decided that I am going to make the new Archer pattern, and would love to win this giveaway! Also, I have just migrated over to bloglovin, and am loving it! That dress is so, so cute! I have Scout on the sewing table...swooning over Archer and Moss...so please count me in...and thank you! Google have lost their minds IMHO. Oooh how generous! I love grainline studio patterns. They are such simple, designs. And I'm totally with you, I don't understand Google's decision at all. I use bloglovin which I'm pretty happy with for tracking blogs I love. what great incentive to get sewing again!!!! Oh fun! Getting better at sewing is the next frontier for me! Oooh, I've been trying to find a great sewing pattern for a pair of shorts and it looks like I've find it in the Grainline Studios Maritime Shorts. Thank you for the giveaway and I'd love to win. Lovely giveaway! I'm drawn to both the Maritime Shorts and the Archer. I use NetNewsWire on my mac, and just switched to Feedly on my ipad. I'm so pissed at Google for retiring my favorite product! :( Sad times, but there are so many other options out there now... It's just as you said though, change is hard! I enjoyed looking at the patterns Grainline has to offer- I love the Kat Dress and the Tiny Pocket Tank! 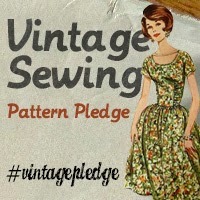 I feel inspired to do some spring and summer sewing! 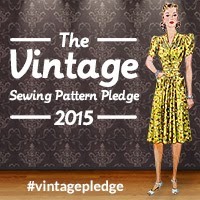 Oooh, I'd love a chance to win a grainline pattern! Thanks for hosting. I am also having a giveaway on my blog to celebrate the equinoxes (vernal or autumnal, depending on where you live). It's a Sewing Book, please feel free to enter! You're very generous. Thanks for hosting this giveaway. I've bought the Scout Tee and I'm looking forward to sewing my first one. However, having bought a new sewing machine and my very first overlocker at the same time, I'm a little intimidated so I've been sticking to bags and cushion covers! Thanks for hosting such a nice giveaway. Oh what an amazing giveaway! Oooo what a great giveaway!! !